Noble Johnson is a Research Fellow at PARC, specializing in Optoelectronic Materials and Devices. Bob Street is a Senior Research Fellow at PARC, specializing in Thin-Film Electronics. PARC recently completed a major renovation of its Cleanroom facilities. We asked Bob and Noble to give us an inside look at PARC’s newly renovated Cleanroom and tell us more about the unique capabilities it offers. For those who might not be familiar, can you explain exactly what is a Cleanroom? Bob: A Cleanroom is simply a space that is kept very clean of dust or particulate matter. This is achieved through the use of air filters and limited access. We use our Cleanroom to fabricate electronic devices. Any particles can disrupt the types of devices that we build, so it’s important to keep the particle count low so that our device yield stays high. Cleanrooms are classified by the number of particles that occupy each cubic foot of air space. Our Cleanroom has separate areas that are Class 100 (having less than 100 particles/cubic foot), Class 1,000 and Class 10,000. To put this into perspective, an urban environment has about 1 million particles in a cubic foot of air. As you can see, our Cleanroom is orders of magnitude cleaner than the outside environment. Noble: The infrastructure for our Cleanroom is also quite specialized. The tools in the Cleanroom require selected chemicals and gases of high purity, along with electrical power and ventilation. These are located in service areas contiguous to the Cleanroom for easy access. The large quantities of key processing gases (nitrogen and hydrogen) that are needed for device fabrication are piped from remotely located tanks. The entire facility – Cleanroom plus infrastructure – is designed, equipped and monitored for safe operation. How do PARC’s partners benefit from the Cleanroom? Bob: We use the Cleanroom to support sponsored R&D and product development for both commercial clients and government agencies. Our work is centered around novel thin-film electronics and optoelectronic devices, where we help clients build prototypes and transfer technology to manufacturing in a cost-effective manner. Because the Cleanroom facilities are under our control, we can work closely with clients to try out new processes and experiment with new designs, materials and applications. 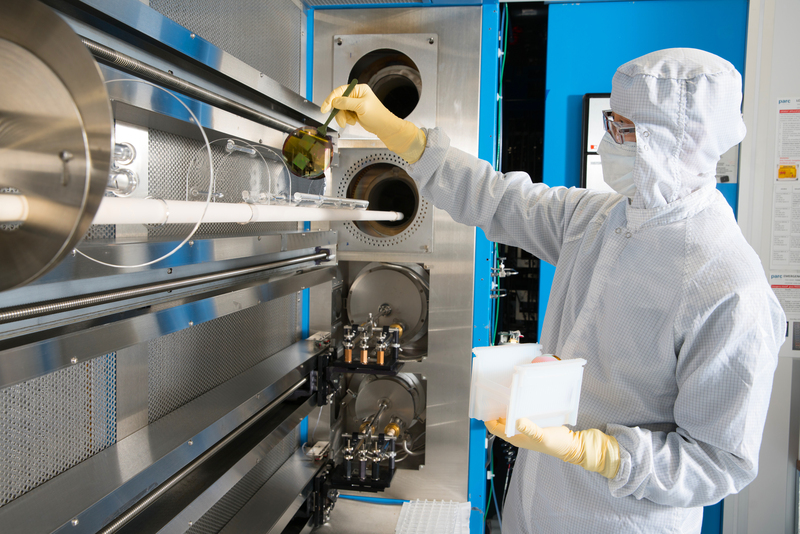 Our Cleanroom is equipped with a wide range of tools that allow for unique processes such as deposition, electroplating, etching, wafer bonding, and sputtering. Our dedicated Cleanroom staff have deep technical expertise in the use of these processing tools and can help clients with device design, simulation and fabrication to make their initial prototypes. Noble: In the area of optoelectronics, we specialize in the growth and processing of the aluminum gallium indium nitride (AlGalnN) family of semiconducting materials, with heteroepitaxial growth of crystals by metal-organic chemical vapor deposition (MOCVD). We have dedicated facilities for fabrication of laser diodes and light-emitting diodes (LEDs) that operate in the visible and ultraviolet (UV) spectral bands. Bob: On the thin-film side, we specialize in large-area electronics. We have deep expertise in working with semiconductor thin-film materials including amorphous silicon, low-temperature poly-silicon, and metal oxides, to fabricate thin film transistors (TFTs), and microelectromechanical systems (MEMS). 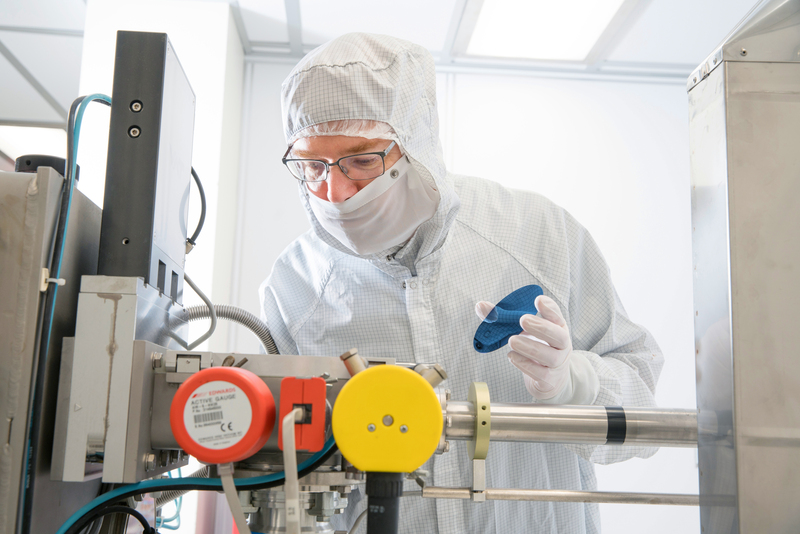 Our Cleanroom is one of the few facilities worldwide that can work with clients to prototype display and imager TFT backplanes that are compatible with manufacturing facilities. Do Cleanrooms exist outside of PARC and if so, what makes PARC’s Cleanroom so unique? Bob: Yes, there are many Cleanrooms that exist outside of PARC; however, unlike PARC, they are not readily available to those who are looking to start a small- to medium-sized research project with the goal of developing a novel electronic device. Furthermore, we deal with very complex electronic devices that are composed of several layers and parts. What makes us unique is our deep expertise and skills in working with the different components that go into the design, fabrication and testing of these complex systems. 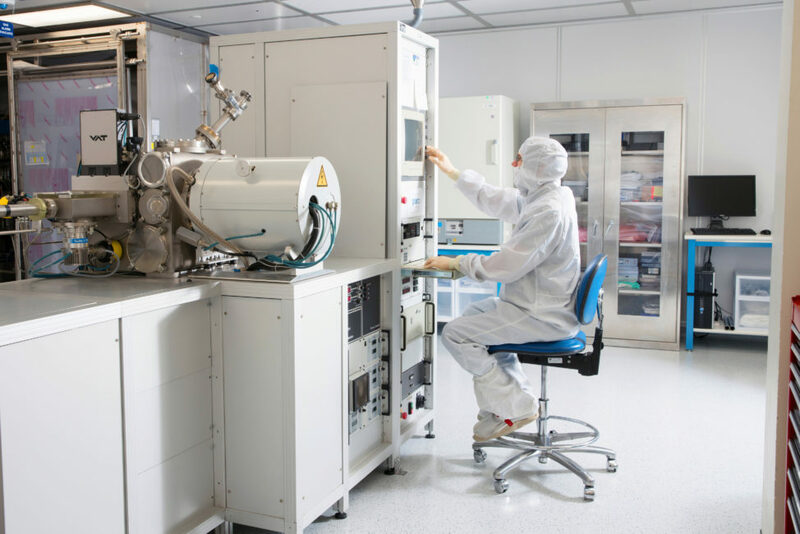 Noble: What especially sets our Cleanroom apart is the flexibility of resources and expertise that we offer our clients to explore new processes and experiment with new designs, materials and applications. Our facility supports the eclectic inspiration that goes into developing novel electronic and optoelectronic devices. Can you share some of the history around PARC’s Cleanroom? How did it get started? Bob: PARC has used Cleanrooms for its research since its inception in 1970. The present Cleanroom partly originated in the mid-’80’s when we were doing flat-panel display work. The flat-panel display was a big technology at the time, and we were working on the basic materials that went into the display. From the displays, we started working on digital X-ray imaging. Noble: PARC R&D in semiconductor optoelectronics was also underway by the early ’70’s, with dedicated facilities for crystal growth by MOCVD and laser-diode fabrication. Early commercial impact included high-power near-infrared (IR) laser diodes and multi-beam laser diodes for Xerographic laser printing. What excites you most about PARC’s Cleanroom? Bob and Noble: What excites us most about our Cleanroom is the close collaboration and engagement between our Cleanroom staff, researchers and clients, and our ability to help clients develop novel electronic devices. Learn more about PARC’s Cleanroom services by downloading the Optoelectronics and Thin-Film information sheets.